President Xi Jinping delivered a keynote speech at the closing meeting of the country’s top legislative session in Beijing on Tuesday. Here are the highlights. He reaffirms his commitment to serve the people and fulfill his legal obligations. Chinese people have the spirit of creativity, hard work and unity and are great dreamers, Xi said. 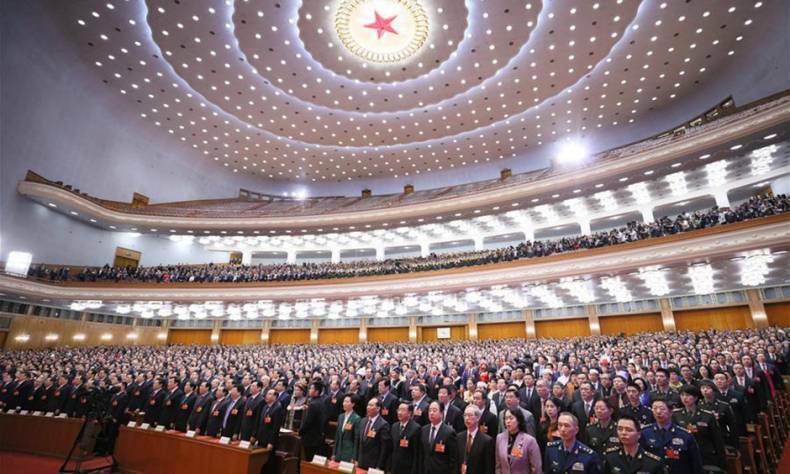 China is a socialist state under the people’s democratic dictatorship led by the working class and based on the alliance of workers and peasants, said Xi, noting that all power in the country belongs to the people. He urges all civil servants to always put people at the highest place, wholeheartedly serve the people and work for the people’s interests and happiness. We should guide our country towards a future full of hope, said Xi, adding that new era belongs to everyone, nothing can stop us fulfilling our dream. China is always willing to make contributions to peace and development of humanity, and fate of Chinese people always closely linked to that of others. China won’t develop itself at the expense of others, China’s development won’t pose a threat to any country, said Xi. China holds the view that world affairs should be managed through consultation between the people of all countries, said Xi, noting that China will not impose its own will on others.